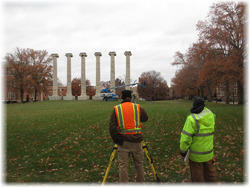 We offer Engineering Survey Services. Our services also comprises of Engineering & Construction Survey Services, Building & Construction Survey Services and Survey and Engineering Services. We are an eminent name, which is engaged in providing Engineering Survey Services to respectable customers. The offered services are executed by proficient experts, who ensure to follow strategies that are most viable to attain expected results.